You can thank a stellar team of Seattle vendors for today’s blue ombré wedding inspiration, who put together this styled wedding to show off their skills before The Big Fake Wedding event in Seattle! 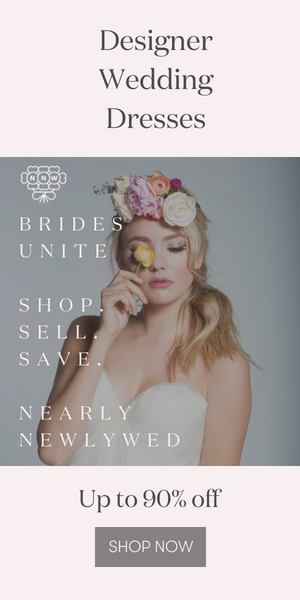 The Big Fake Wedding provides a one-of-a-kind bridal show alternative to meet and greet a team of talented vendors as they do what they do best: organize a killer event! A team of hand-selected Seattle wedding vendors are throwing a (big, fake) wedding and you’re invited! To achieve the gradual shading effect of ombré dip-dying, you need to dye the fabric in a few stages. Hold the fabric in the solution for about a minute to achieve a darker color, then gradually lessen the length of time for each section of fabric dipped in the solution. Feel free to leave some of the edges white for an un-done look! A big thanks to this talented team for sharing such gorgeous wedding inspiration with us! Be sure to grab your tickets to The Big Fake Wedding Seattle to see some of Seattle’s best wedding vendors in action!